From the hands of Chef David Chang of Momofuku, this simple pickle recipe is sweet, crunchy, and delicately flavored with caraway seeds. The pickled carrots need to be made at least 1 day in advance, so plan accordingly. 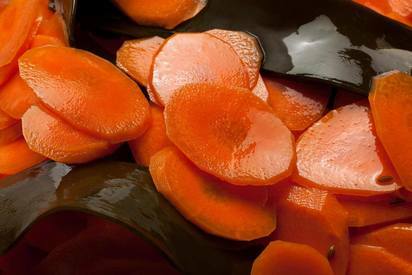 Any leftover carrots can be stored in the refrigerator for up to 2 months.